What if somebody snuck into your home… killed your wife and kids? You wouldn’t be okay with it and you wouldn’t adjust to it. You wouldn’t want to see the killer brought to justice, you’d want to kill them with your bare hands. Brutally, slowly, dramatically, maybe carried out over the course of days as you kept the killer just this side of death, begging you to just let him die. You’d want revenge. It wouldn’t be good or right or fair. But it would feel so. F*cking. Good. That’s basically John Wick. Only replace the word “wife” with “dog” and the word “kids” with “stole your car”. Images courtesy of AMC and Fox International Channels. Up till now, from Frozen to How to Train Your Dragon to Transformers the Movie, if you were reading an animated movie review here on GOO Reviews, no doubt about it, you were reading a review by Grace. Just like if you were reading a superhero movie GOO Review, after noticing its markedly greater sophistication and reasoning, you’d find that you were reading a review by me, Thom. But Big Hero 6? That’s a Disney movie! And it’s a Marvel movie! Disney movie. Marvel movie. Disney. Marvel. Disney. Marvel. What to do? The short answer is Grace is taking a bit of time off, and the Marvel connection was just a little too strong for me, Thom, to ignore. So here we are. As much as I’ve disliked Beth in the past, as much as I’ve thought that her strongest contributions to the show have been somewhere between peripheral and outright unnecessary, and as much as I’d hoped her kidnapping (and the ensuing apathy of the characters affected by it) would prove to be permanent, at least she’s given our heroes something to do. For a variety of reasons, including the Governor’s story being overly drawn out — which I maintain ruined the pacing and development of a lot of different parts of the show last season — Abraham’s group has been pretty underserved so far. Beyond the mission, we don’t really know what’s going on with them, what’s motivating them, or who they are under the surface. Abraham’s incredibly militaristic; Eugene’s improbably anti-social; Rosita’s impossibly hot. That’s been about all there was to them up until this episode. “Self Help” represents a fairly important turning point in the whole cure storyline that’s been percolating (and going nowhere) ever since we were introduced to the Abraham trio. As a young teen, I was absolutely in love with Halloween, which eventually led me to research its origins and try to discover similar holidays. It was during one of these fateful Wikipedia searches that I learned about the Day of the Dead. 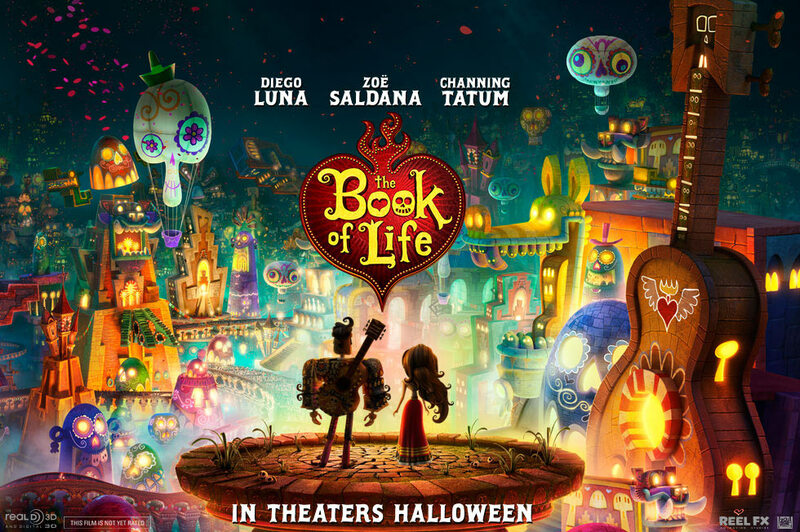 Thus, to understand the movie I’m about to review, I’m going to give the unaware a basic idea of what the Day of the Dead is about. Remember that time we went back to the future to rescue Peter Petrelli’s time-displaced girlfriend, Caitlin? Or when those giant praying mantis eggs finally hatched and took over Sunnydale? Or when we finally found out what was going on with Walt’s psychic powers? Like it or not, there are just some plot points that prove to be such dead weight or way too difficult to solve or so disruptive to the rhythm of a TV series that they’re completely dropped lest they bring all the positive momentum the show has since gained to a screeching narrative halt. A whole hour of Beth.